The largest rodents in the world are capybara, and can be found living in Venezuela. Manatees, giant anteaters, three-toed sloths, two-toed sloths, jaguars, and Orinoco crocodiles can be found in Venezuela. There are more than 1400 different species of birds found in Venezuela. Major industry in Venezuela includes tourism, ecotourism, real estate, aluminum, steel, iron ore, food processing, petroleum, and construction materials. Venezuela's national bird is the yellow-orange Venezuelan Troupial. Venezuela has more than 25,000 orchid species. Its national flower is the 'flor de mayo orchid'. 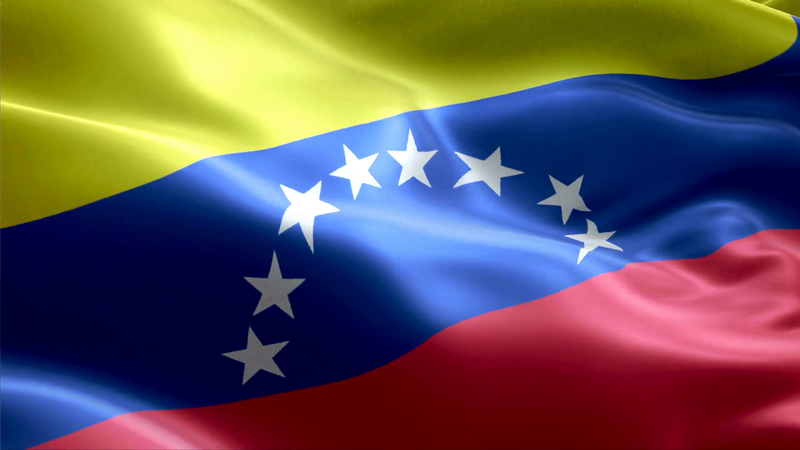 Venezuela has one of the world's largest natural gas reserves. The tallest waterfall in the world is Angel Falls, and it is located in Venezuela. Venezuela's highest mountain is Pico Bolivar, at 16,335 feet tall. It is located in the Andes Mountains northern extension. Venezuela's official language is Castilian. Other languages spoken in Venezuela include Italian, Chinese, Portuguese, Arabic, and Spanish. English is the most commonly used foreign language in Venezuela. Major agriculture in Venezuela includes corn, sorghum, eggs, milk, sugarcane, bananas, rice, vegetables, and coffee, as well as fish, pork and beef. Fifty percent of Venezuela's population is Mestizos, and the rest of Venezuela's people are indigenous and African people. Venezuela has twenty-three states, and has a total of 335 municipalities. Venezuela's monetary unit is the bolivar fuerte. Half of government revenue is derived from the petroleum sector. Venezuela has the world's 2nd largest oil reserve. It is also one of the top crude exporters in the world. Venezuela is the 33rd largest country in the world. Venezuela's capital city and its largest city is Caracas. Its official name is Santiago de Leon de Caracas. The population of Venezuela today is approximately 28.5 million people. Venezuela has over 1400 bird species, including kingfishers, ibises, ospreys, and its national bird the Venezuelan Troupial. Venezuela covers an area of 353,841 square miles. Venezuela is considered to be one of the world's most mega-diverse countries due to its large variety of wildlife and habitats. Venezuela was originally named Veneziola, after the city of Venice, because of its stilt houses that reminded the explorers (who first visited the area) of Venice. Venezuela has a tropical, hot and humid climate. The longest river in Venezuela is the Orinoco River. Venezuela's national instrument is the cuatro, which is a small guitar. Major exports from Venezuela include agricultural products, petroleum, steel, bauxite and aluminum. Venezuela's national dance is the joropo, which is a waltz type of dance. Venezuela has had a national professional baseball league since 1945. Baseball is also Venezuela's favorite sport.